What’s good about the Barbour Black Shadow International Jacket? This is an absolute classic of a jacket, originally developed in 1936 for the International Six Day Trial (ISDT); it has been the popular choice for trials and road riding ever since - a total icon of the sixties. Made from traditional heavyweight 8oz waxed cotton this jacket has been brought into the 21st century with a few modern additions. The biggest is protective body armour, which was well overdue. 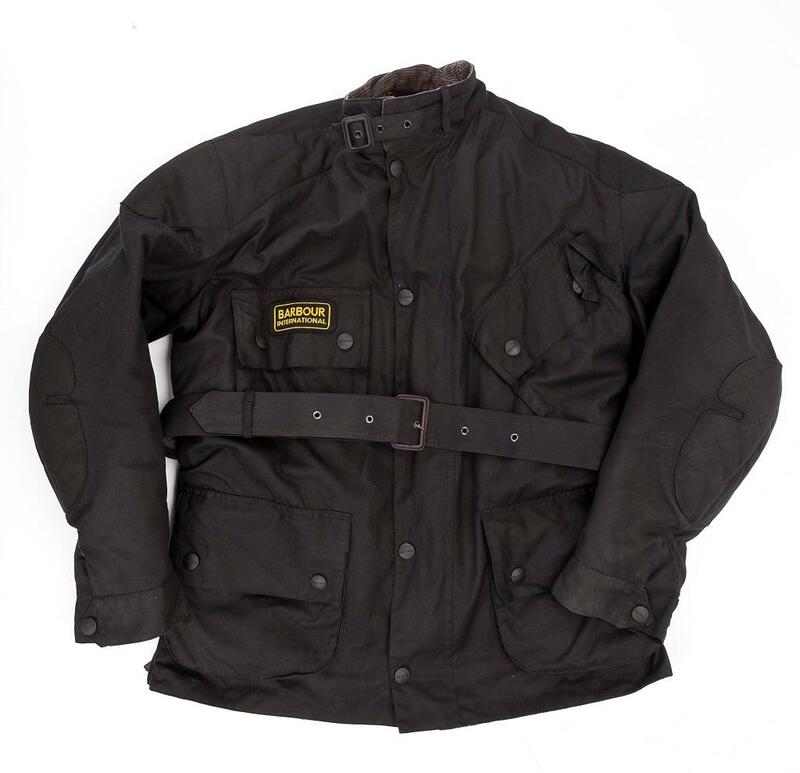 Well-known British protection specialists Forcefield have provided the jacket with CE-approved armour, this is great, but do go and try one on before buying, as I found I had to go a size up due to the body armour taking up some of the space. Other additions include two zipped side vents and a bright red removable lining, which has sleeves for extra warmth. The traditional brass poppers have been updated with rubber covers to prevent scratching bike paintwork, also the buckled belt now has a reflective panel attached, which shows up well in the dark. This jacket is nicely finished and, true to its original A7 version, retains the tartan lining but now the jacket is fully waterproof with sealed seams. I found the standard body armour too bulky and ridged, so I replaced it with Forcefield’s Net upgrade armour, which is still CE Level 2, but is more flexible and compact.